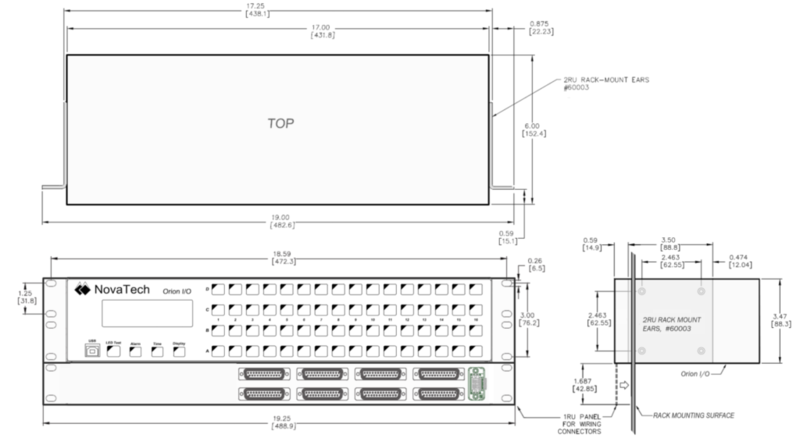 The pre-wired and tested Orion I/O D20 Upgrade Assemblies comprise of an Orion I/O equipped with I/O Cards, bracketing, internal interconnection wiring and connectors. For D20 modules with DB25 or “Disconnect” style connectors, replacement of the D20 module can be accomplished without any re-wiring. For D20 I/O modules with “Barrier” or “Compression” style connectors, existing wires can be re-landed to the same physical terminal location. 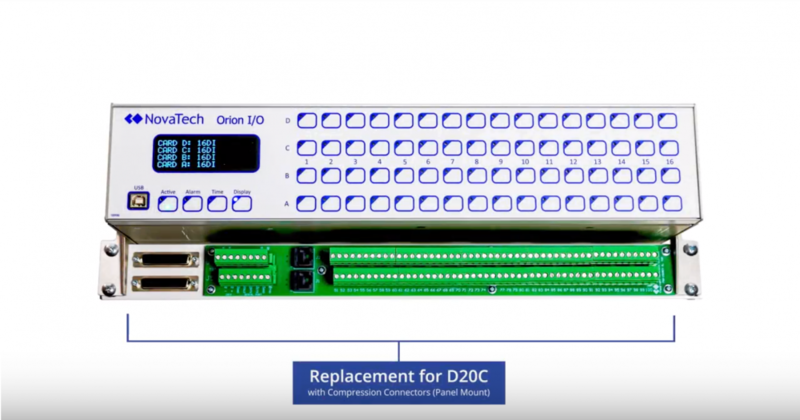 Orion I/O D20 Upgrade Assemblies replace the D20A Analog Input, D20S Status Input, D20K Control Output and D20C Combination Input / Output cards. Upgrade Assemblies are available in 19” rack-mount configurations and panel mount (surface mount) configurations. 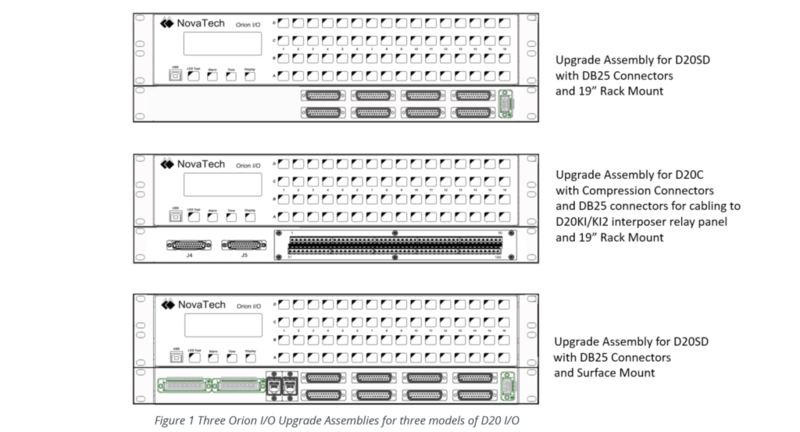 The high density of the Orion I/O (up to 64 DI in 2 RU and up to 32 AI in 2 RU) enables the Upgrade Assemblies to occupy the same vertical panel real estate as the replace D20 modules, although additional forward or rearward depth is required. Upgrade Assemblies are produced to replace the specific models of D20 I/O. The Orion Family now includes the new OrionLX+ plus the OrionLX CPX, OrionLXm and Orion I/O. All these Orions share the same firmware and configuration in NCD. The new features and enhancements described below are now available to simplify usage, expand application and reduce cost of ownership. The OrionLX Substation Automation Platform is designed with a Linux operating system, more powerful processors for an expanded range of substation automation applications, and comprehensive Cyber-Security functions for meeting NERC CIP requirements. This video describes the key features of the NovaTech Identity Manager (NIM) and NovaTech Connection Manager (NCM) products. NIM is a Linux-based LDAP/IPA application for managing users and passwords for OrionLXs and Schweitzer relays to the latest NERC CIP Version 5 requirements. The points in the Orion database can be setup to Alarm, Archive and Retain point values using the AAR module. 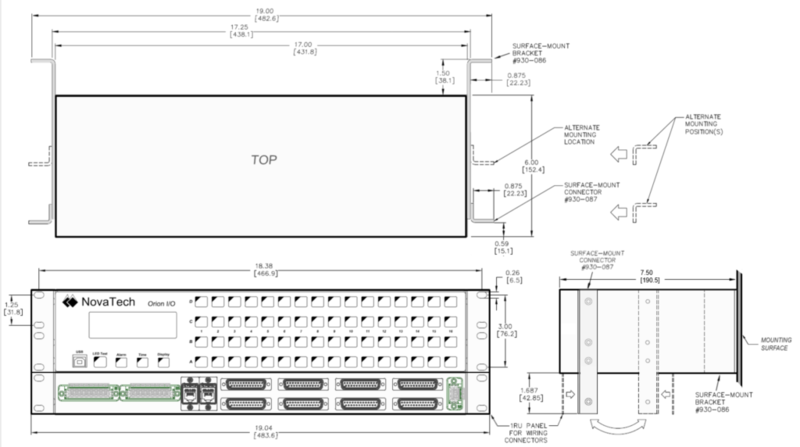 By default the Orion is shipped with all Ethernet ports set as DHCP. This video shows the steps to configure each Ethernet ports IP Address, Gateway and Router. Industry expert Bruce Muschlitz discusses the latest 61850 standards and applications, the components and performance of a PRP system, and the emerging role of Process Bus and Merging Units at the 2016 DistribuTECH Conference and Exhibition in Orlando, Florida.